A mystery this is not. It is, but not really. Finding out who killed Lucinda Hayes serves as a backdrop in a three person character study. While I originally thought I was going into a whodunit novel, I wasn't disappointed by what I read instead. The story moves at an unrushed pace, taking place over just a few days. Told in expressive prose, the writing was the most enjoyable part of the novel for me. 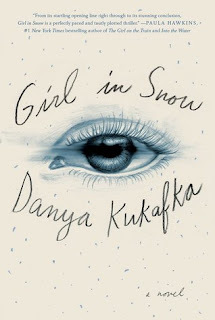 I'd love to read more from Danya Kukafka in the future. The murder falls into the background and Lucinda seems to just be a thread that holds the story together rather than the focus. As such, I didn't feel much about the killer's reveal (or Lucinda in general). 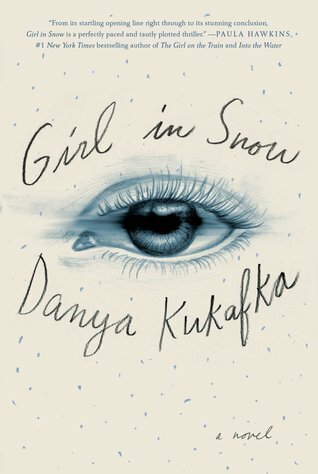 I think if you go into Girl in Snow knowing that you're getting a character study more so than a mystery, you'll be more inclined to enjoy it. As such, I've rated it 4 stars (whereas my rating would be much different, i.e. lower, if I rated it viewed as a mystery novel).